Please help me? I need to know what font this is? 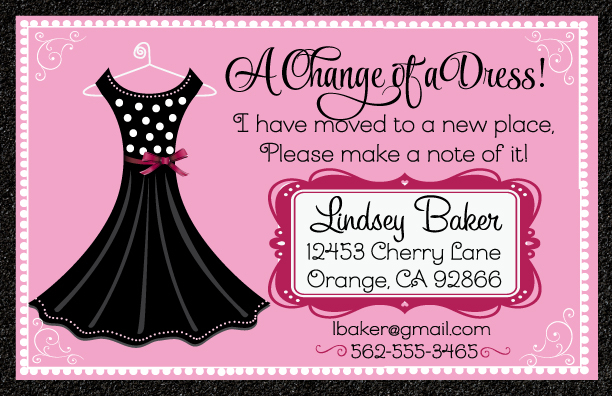 @pinkrd1 ; - There are three fonts here, the font used for A change of a Dress, the I have moved... and a third Lindsey Baker, and maybe even a fourth for the email. Which one? If I find an exact match, I will post again. Definitely a lot going on with fonts in that sample! Thanks for taking time to check them all out! I found the font used for the "I have moved . . ." text, including the street and email addresses and phone number. It is Mandevilla by Laura Worthington, which is available in a few weights. Google it.